Milton Keynes based Adam Wynne has completed the Barclays Degree programme and graduated at a ceremony held at the House of Commons where he was joined by his Member of Parliament, Mark Lancaster. 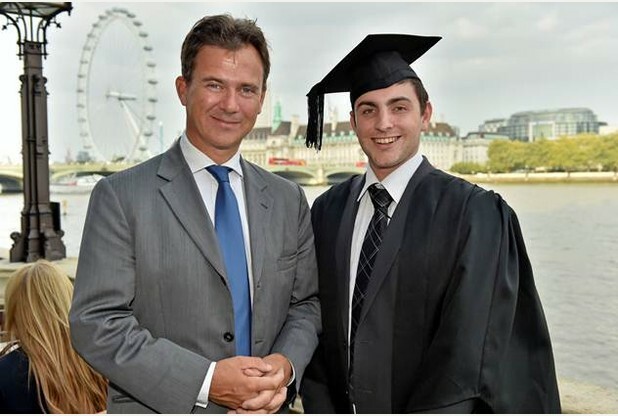 The event celebrated his hard work and success following the completion of a degree programme at Barclays. Adam gained his qualification after spending three years working in a range of positions across the company while also studying to gain his degree and now has a permanent role with Barclaycard as a Change and Release Manager working in the Digital Consumer Payments Tea, who are responsible for the recent launch of bPay bands – the new wearable payment device. The Barclays Degree Programme is a three year vocational degree providing talented young people the opportunity to work at Barclays whilst studying for a BA Hons Degree in Leadership and Management. The programme has been developed in partnership with the Lord Ashcroft International Business School at Anglia Ruskin University and Nottingham Business School at Nottingham Trent University.